Discussion in 'One Piece News' started by Pacquiao8, Dec 31, 2018. It's already 2019 in Japan, so Happy New Year everyone! This year will be the 20th anniversary of One Piece Anime, yeah! The Wano Country Arc is gradually reaching its climax! 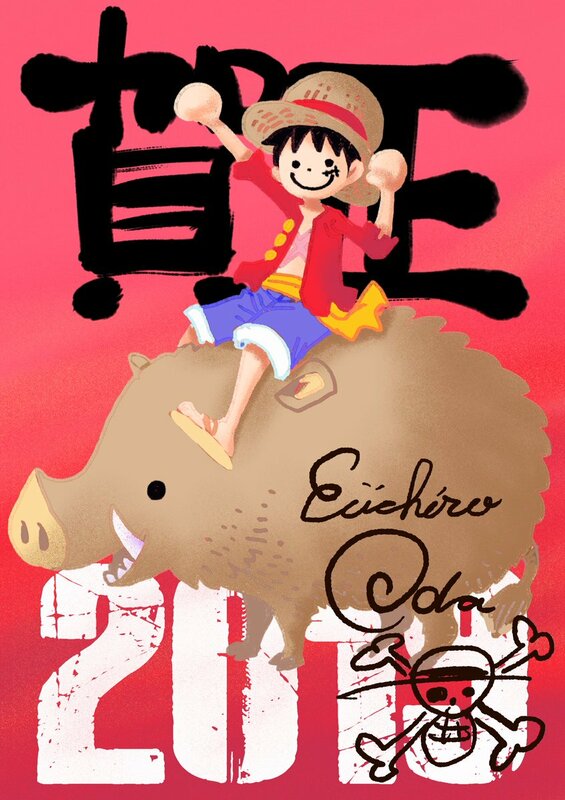 We wish you another great year with One Piece! Dreamer, Seiryu, Edinbour and 1 other person like this. 2019's gonna be a great year of One Piece! So much to look forward to! Especially if we get immediate back to back Yonkou wars! Since we don't have a holiday section, Happy New Year to everyone! I hope 2019 brings about bigger and better things, but especially good health and great memories! Captain_tatsumaki, Dreamer, Pacquiao8 and 1 other person like this. I believe that's one of the purpose of the General Lounge section. That's a nice drawing . And we have a whole new year of One Piece stuff ahead of us . Haha...shows how much I actually check the other subsections unless I'm tagged in something...Thanks.